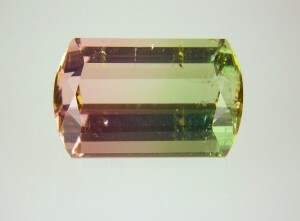 The study of gemstones is called Gemmology. A gemstone is valued for its beauty, durability and rarity. Gemstones are not confined to precious stones. Indeed the term “precious” is a misnomer as many rare gemstones are more valuable and precious than traditional precious ruby, emerald, sapphire or diamond. 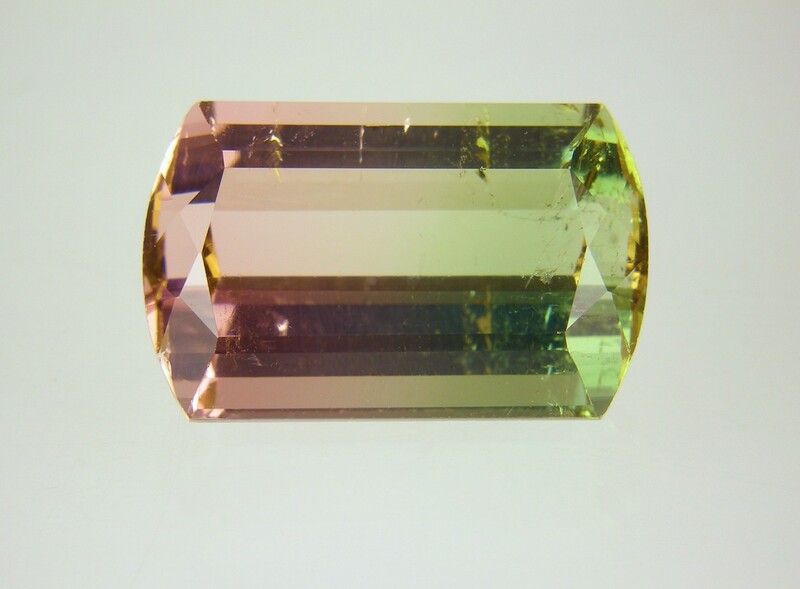 Just Gems offers a selection of rare and unusual natural gemstones that are difficult to find elsewhere and which appeal to a discerning clientele. For example deep blue aquamarine; sphene; yellow chrysoberyl; green, blue, pink and bicolour tourmalines; green and orange garnets; yellow, pink, green and purple sapphires; opals; and coloured diamonds. 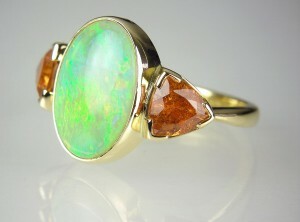 All our quality-assured natural gemstones have been chosen by Helen Plumb, an award winning gemmologist and geologist. With Helen’s guidance you can select beautiful, unusual and ethically sourced gems from our fabulous range. Mandarin garnet & white opal ring in 18ct yellow gold set with 2.75ct oval cabochon cut opal & 2.06ct trillion cut spessartine (mandarin) garnets.